Cardiac angiosarcoma is a rare entity. 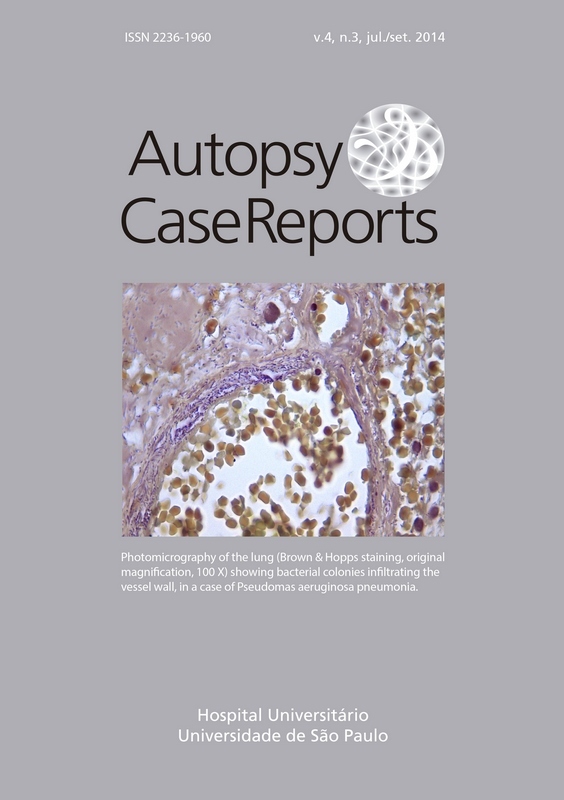 The incidence through autopsy findings ranges between 0.001% and 0.03%. The disease usually presents with non-specific symptoms, although asymptomatic cases are frequent; therefore, diagnosis is unexpected and consequently delayed. The authors report the case of a middle-aged man with a recent onset cough and dyspnea. He sought medical care several times without receiving a definite diagnosis until a plain chest radiography was taken showing a mediastinal enlargement, which was the reason why he was hospitalized for clinical investigation. During the diagnostic workup, an echodopplercardiogram and a thoracic computed tomography were performed, showing a heterogeneous soft-tissue mass infiltrating the pericardium and the anterior atrial wall. Multiple and scattered pulmonary nodules were also present. A pulmonary nodule was biopsied, which revealed an angiosarcoma. The clinical features added to the radiological and histological findings permitted the diagnosis of right atrial angiosarcoma. The authors highlight the unexpected pattern in the presentation of cardiac tumors.